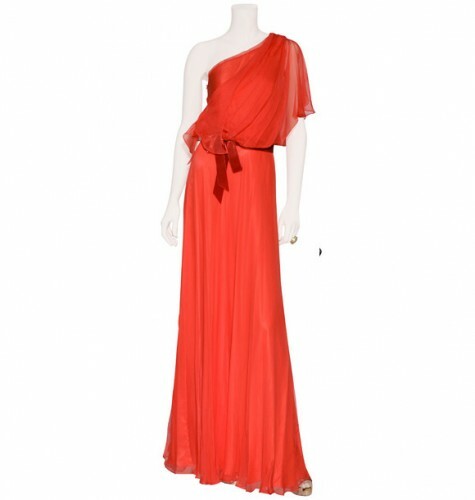 Made of silk chiffon, the gown was a bespoke piece for Kate by her favorite evening-wear designer, Jenny Packham. It is based off the similar "Flame" style by the label. The ready-to-wear design retailed at $2,130.